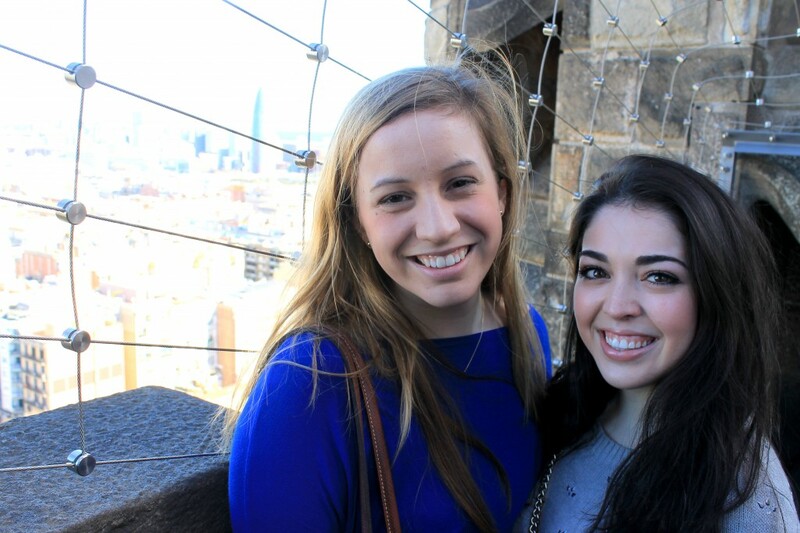 This past weekend, I was lucky enough to go to Barcelona to celebrate my friend Mariah’s 21st birthday!! I’d been to Barcelona before, about a year and a half ago when my sister was studying abroad there. I had such an amazing time the first time I was there, so naturally I was beyond excited to go back! The city didn’t disappoint – it’s a magical place, truly. We left last Thursday and arrived around 8 PM, and then promptly went to go find our hostel. It was my first time staying in a hostel, but thankfully, I couldn’t have had a better first experience. The place we stayed, called Fabrizzio Petit Palace, was in an incredible location that was within walking distance from pretty much everywhere we wanted to go, it was clean, safe, 24h-hour breakfast (score!) and most importantly, had such an incredible staff that truly made the weekend one that was never to be forgotten! After arriving that first night, we had SUCH an amazing dinner at a place called Tapas 24. 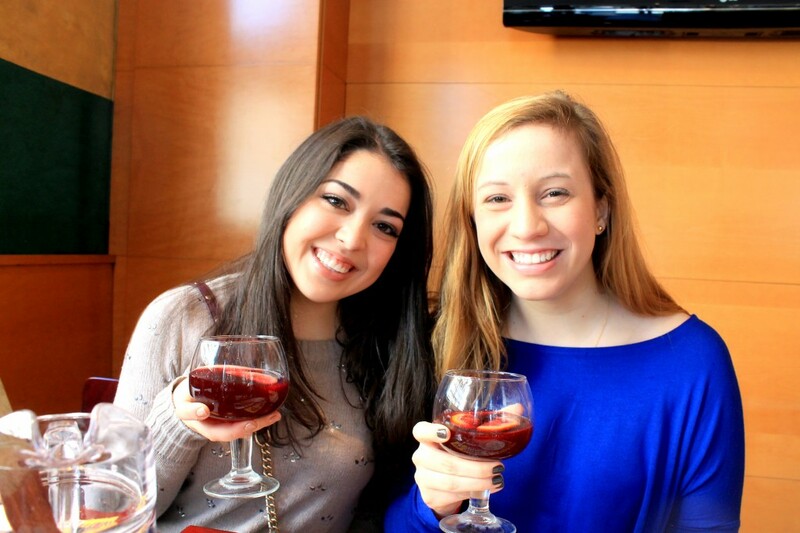 We were in Spain, so obviously we needed to stuff ourselves with tapas and drink lots of sangria. This was (most) of our tapas spread, so good! 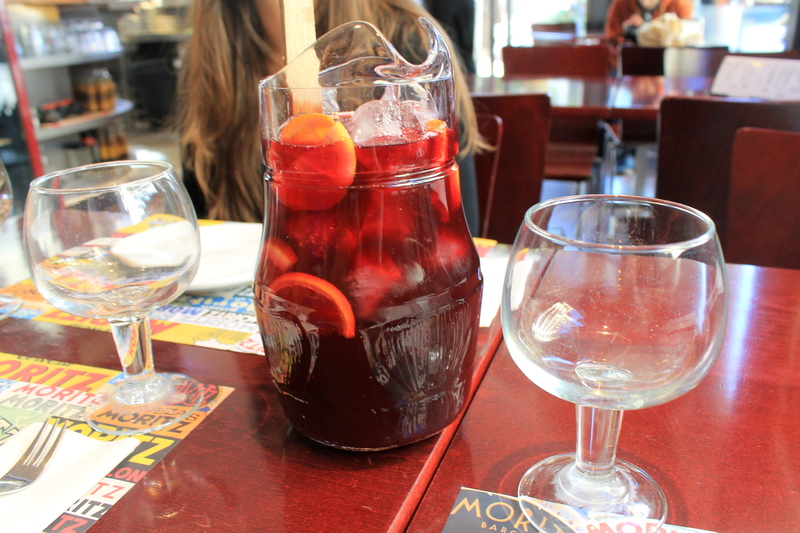 Of course, we could not have our first meal in Barcelona without sangria! This was one of the best that we had, it was light, smooth, fruity, and absolutely delicious. Perfect complement to the meal. Ok, this sandwich. One of the best sandwiches I’ve ever had. EVER. We sort of just saw black truffle on the menu and pointed at it, hoping it was something good. SUCH A GOOD IDEA. We were talking about this for the rest of the trip (along with one other favorite from here that you’ll see in a sec!). 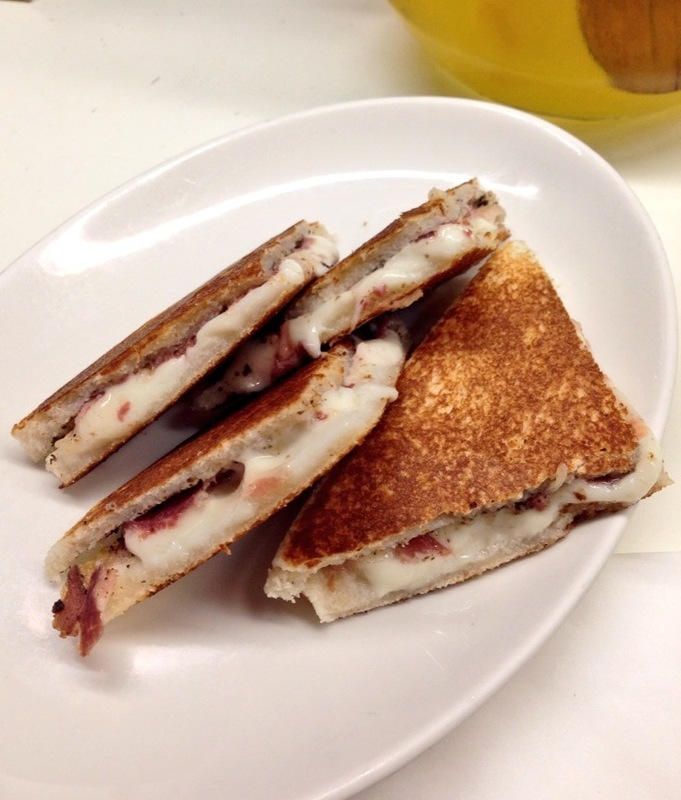 Perfectly toasted bread, delicious melted cheese, a generous amount of shaved black truffles, and Iberian ham. It was the perfect combination, and is literally a sandwich I will dream about. 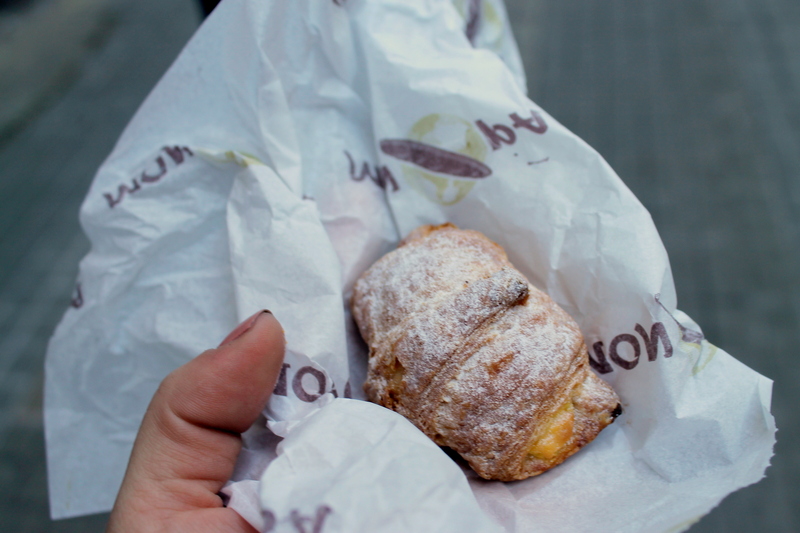 If you go to Barcelona you must eat this. Croquettes are a favorite of mine, and these were some delicious ones! They were chicken, and sort of tasted like a super gourmet chicken nugget. I’m saying that in the best way possible. So yummy! 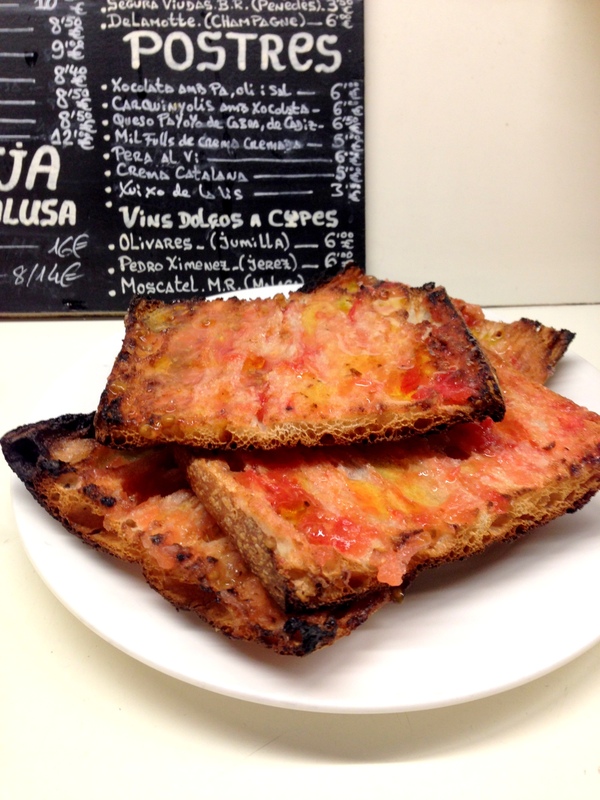 Pan con tomate…AKA bread with tomato. 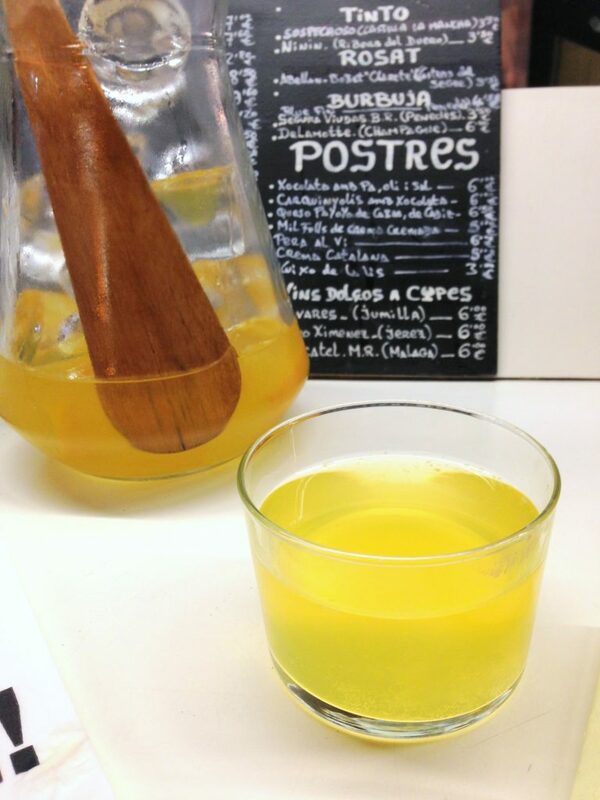 This is a staple on most tapas menus, and is delicious in it’s simplicity. Great quality bread, toasted to crispy perfection, rubbed with fresh tomato and olive oil. My favorite snack growing up was bread with tomato and olive oil, so this totally reminds me of home. Major comfort food! This was a daily special and came highly recommended from our waiter. 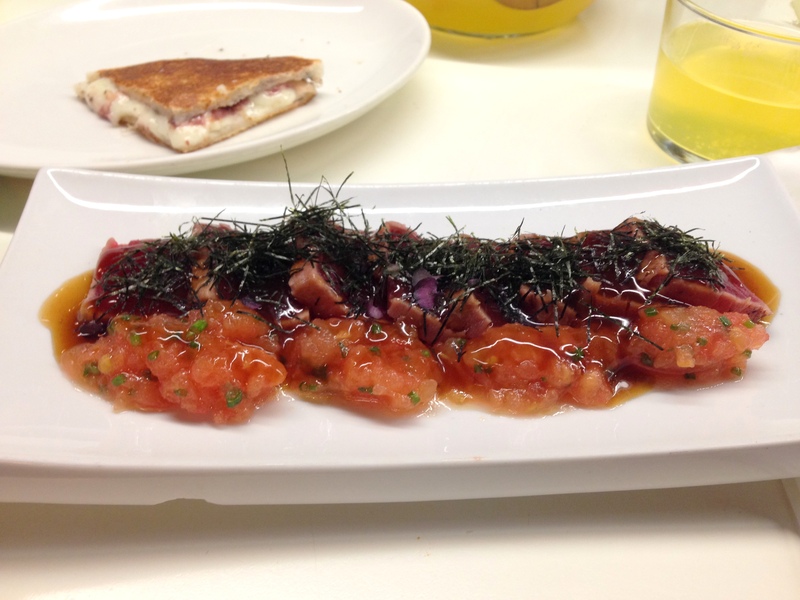 It was SUPER fresh, barely seared tuna, with a delicious tomato compote-sorta thing (technical, eh? ), topped with seaweed. I’m typically not a huge raw fish person, but this was scrumptious. 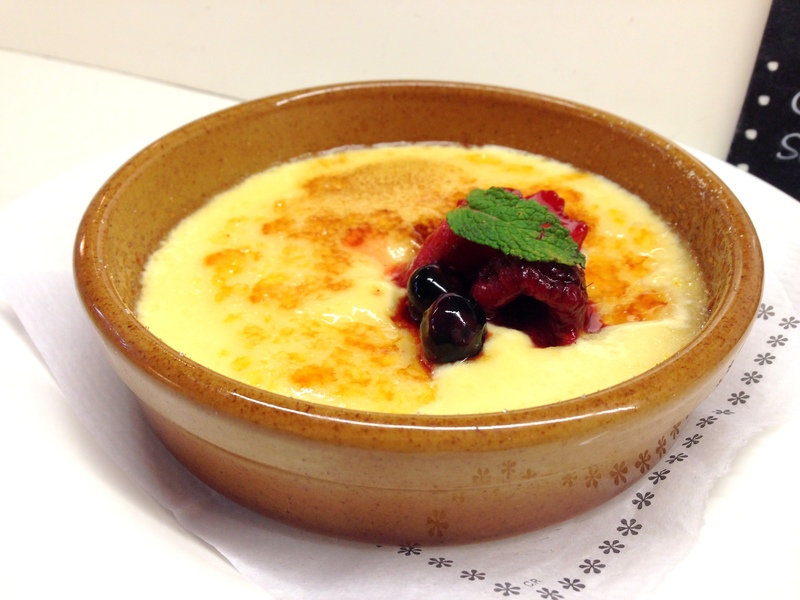 Dessert #1: creme Catalan. We had no idea what we were going to get with this, our waiter simply told us it was good. It was similar to creme brûlée, but the filling was a lot runnier. It was heavenly, and I could devour this again and again. And finally…dessert #2. This is what every chocolate dessert dreams of being. When I said earlier when talking about the sandwich there were two things from this dinner we couldn’t stop dreaming about, this was the other one. I don’t even know what that chocolate stuff was. When they put it down, I thought it was ice cream. When I spooned into it, I thought it was mousse. But when I ate it…it was some combination of mousse and ganache, perfectly accented by a drizzle of good olive oil and a sprinkle of flaky sea salt. 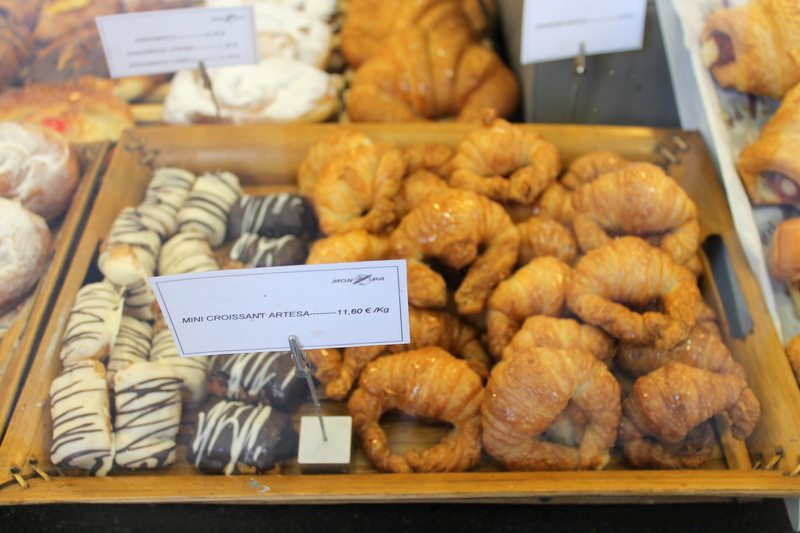 Those little breads were perfect for scooping the chocolate goodness into your mouth. This was dessert at it’s finest. Soooo dreamy. 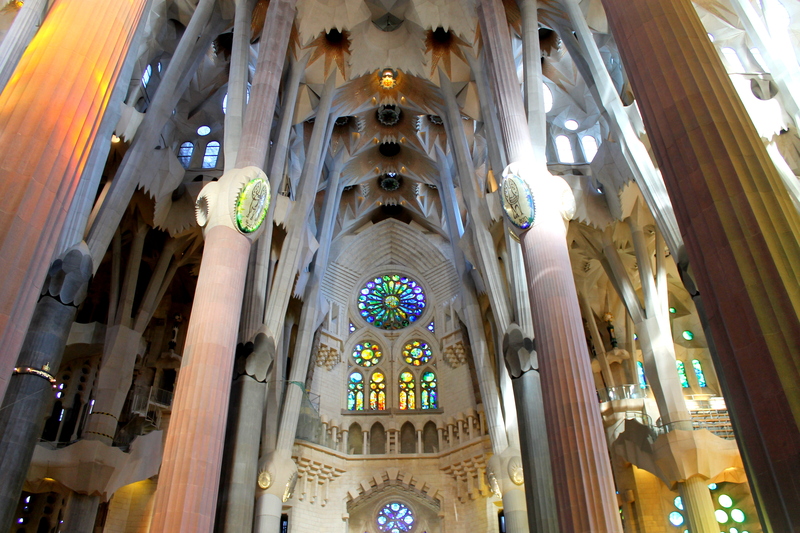 The next day, we went to Sagrada Familia. I had already been, but even the second time, the place is beyond breathtaking. However, on the way, we stopped for lunch! True to Spanish form, we had sangria and tapas…but for some reason, I didn’t take any pictures of the tapas. We also ordered a pizza, because why not? It was really good. The tapas we got were manchego cheese, Iberian ham, and patatas bravas. 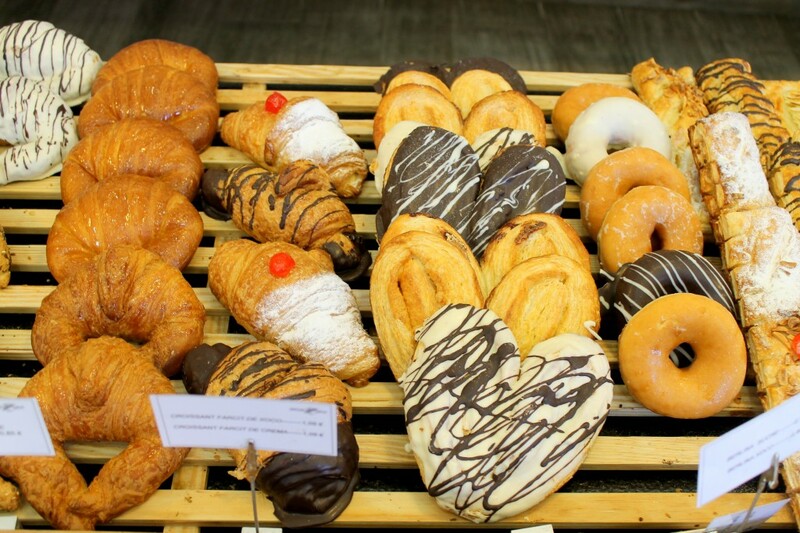 All super traditional, all super delicious! 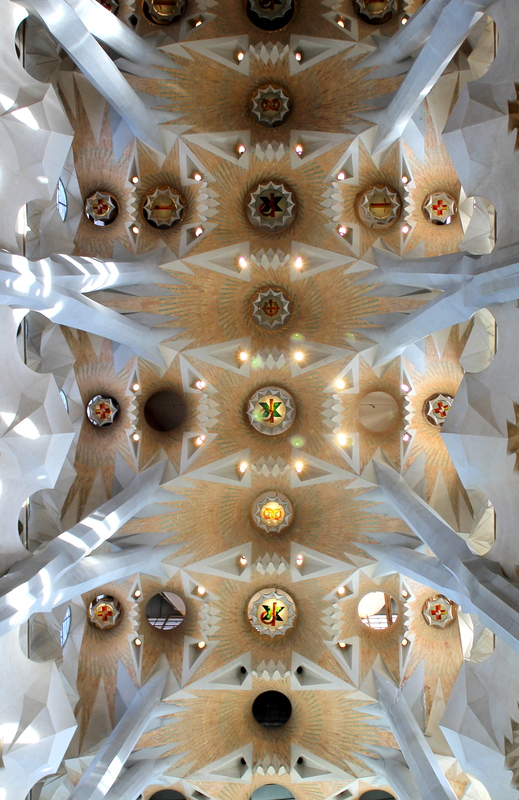 We spend most of that afternoon exploring Sagrada Familia. 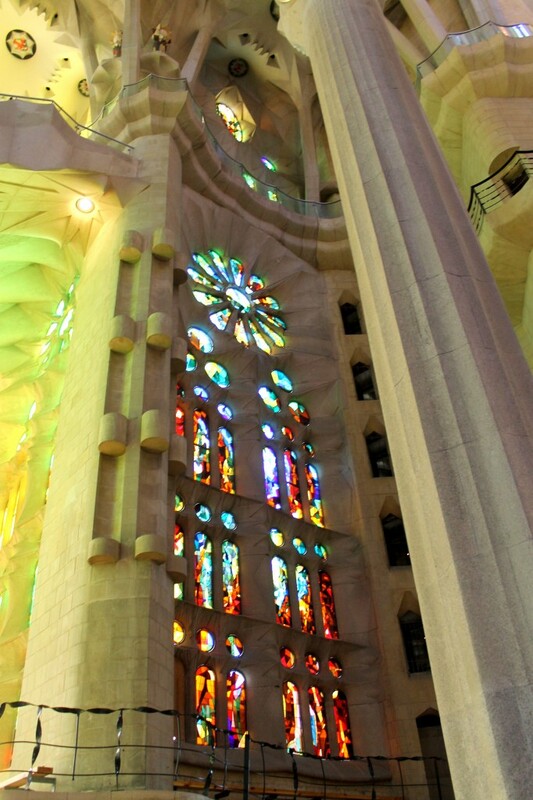 If you haven’t heard of it, it’s a massive church, designed by Antoni Gaudi, the famous Spanish architect. This church is a monster, and it isn’t even close to being done. 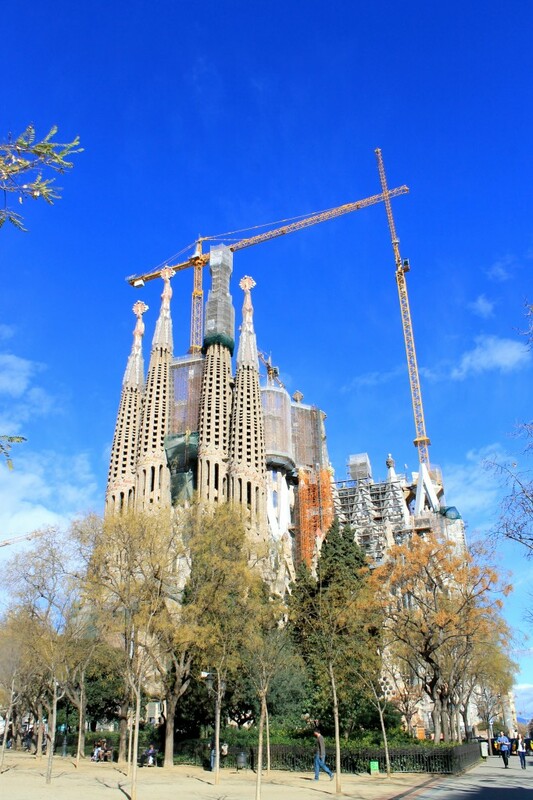 It’s been under construction for ages, but they’re aiming to finish it in the 2026. 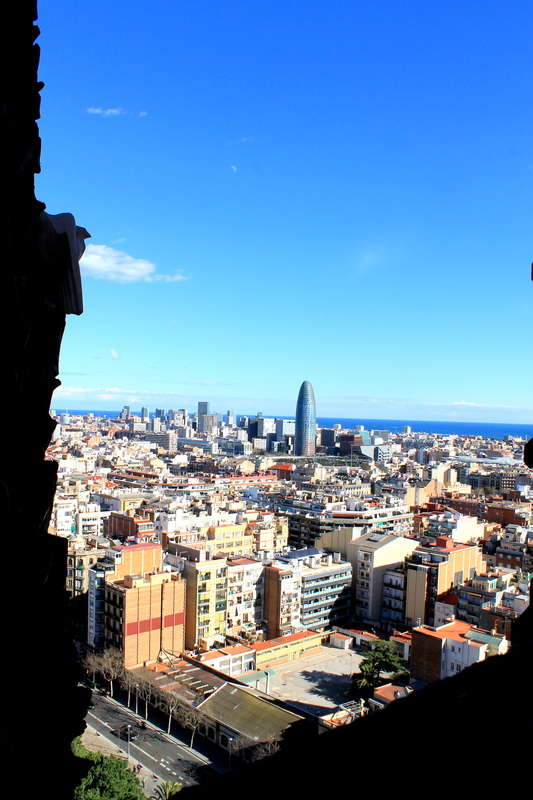 The inside is complete, and we rode the elevators to the top of the towers for some gorgeous views of Barcelona. 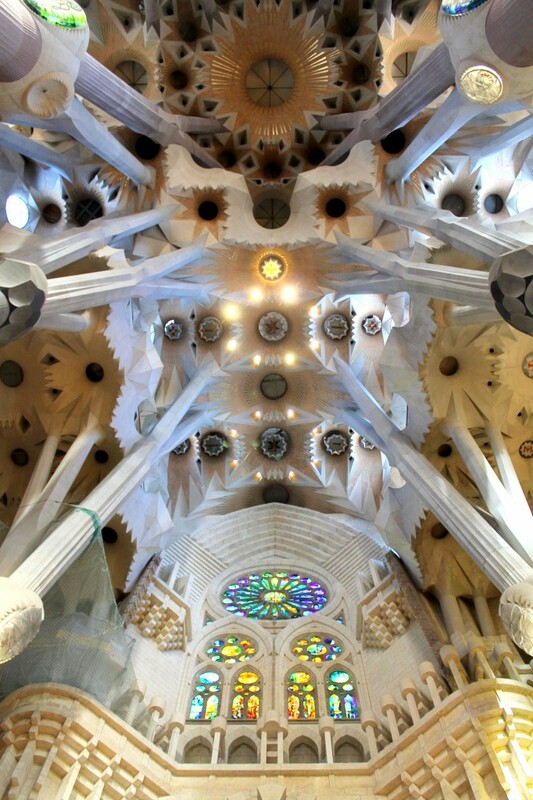 This is one truly incredible building! The next day, we went an awesome brunch place called Milk, and then to the beach! It was a little windy/cloudy when we first got there, but the sky cleared up a bit and it was so nice to see the water. Being landlocked in London is hard for me, since I’ve always lived within a few miles of the ocean! That was my brunch time meal at Milk…omg. So good! 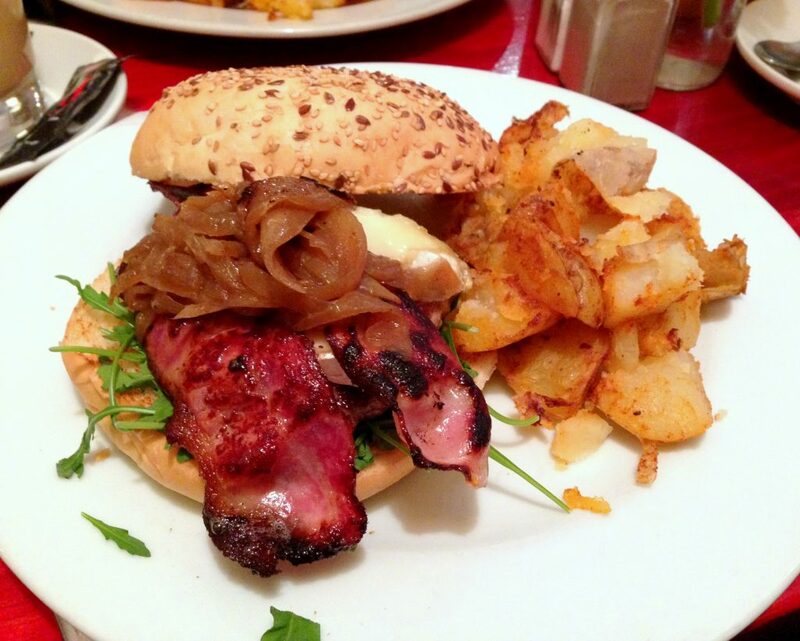 It was a burger with brie, bacon, and caramelized onions. Heaven! And served with breakfast potatoes…oh so good. We went back there for breakfast the next day and I got pancakes, but took no pictures of that meal. Awesome place though, highly recommended. Saturday was our last night in Spain, and we went to an Italian restaurant called Toscana Ristorante for dinner to celebrate Mariah’s birthday! Forgive the terrible photos…the iPhone can’t do magical things when the lighting is crappy, and I was photographing at rapid speed before the food got devoured! 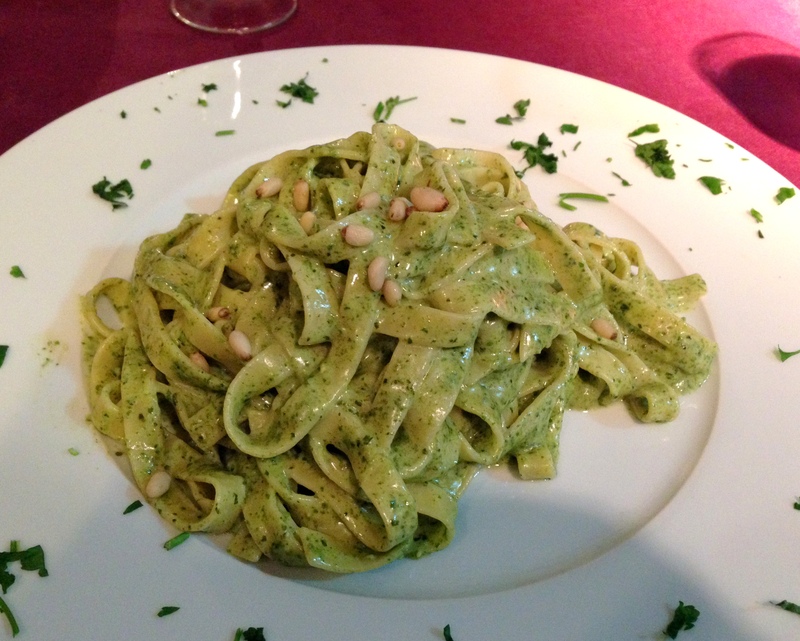 Mariah and I opted to share two things, and upon reading the menu and not understanding a vast majority of it, we stuck with what we knew: pesto! It was simple, but it was a pesto pasta done so right. It was creamy and delicious, and the pasta was perfectly cooked! So yummy. For our pizza, we took advantage of our last opportunity for Iberian ham! 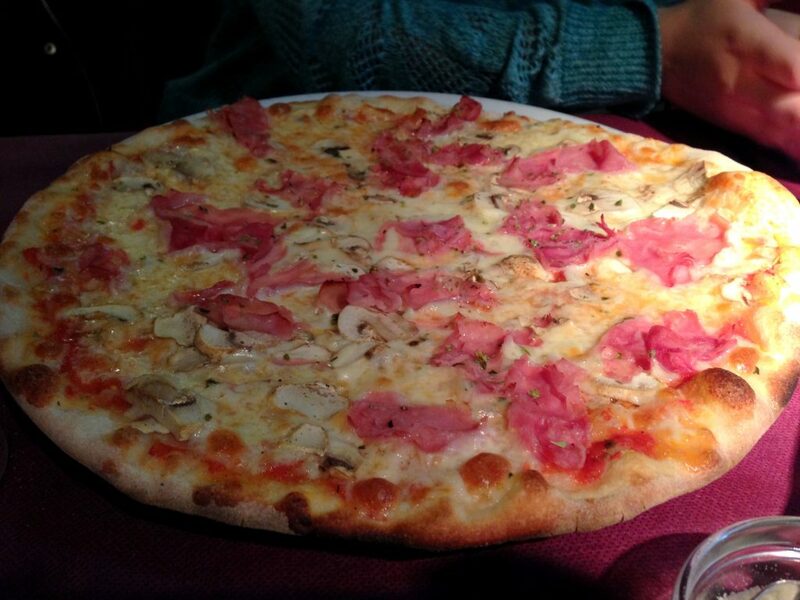 We got the Iberian ham and mushroom pizza, and it was so delicious. The crust was thin and crispy and just how a pizza should be. 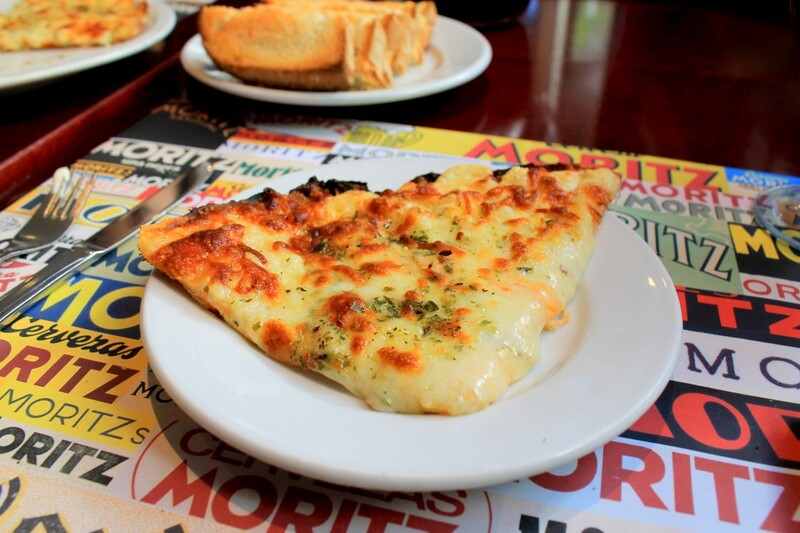 So weird though – they don’t cut any of the pizza’s for you! Thankfully, I learned I’m great at cutting pizza with a butter knife. 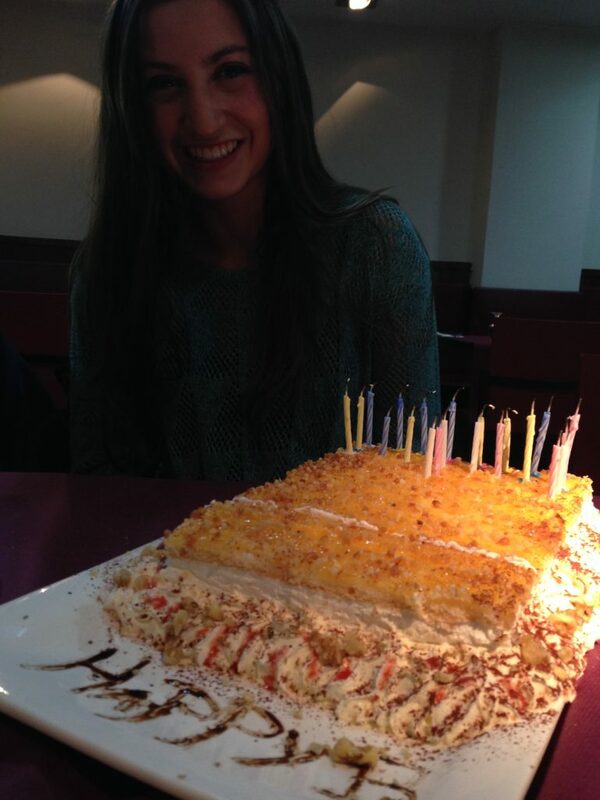 The awesome guys who worked at the hostel where we were staying brought a cake to dinner to celebrate Mariah’s 21st birthday!! Too sweet of them, and the cake was delicious. All of the food looks SO delicious, I’m slobbering all over my desk at the moment. It looks like you guys had a great time! 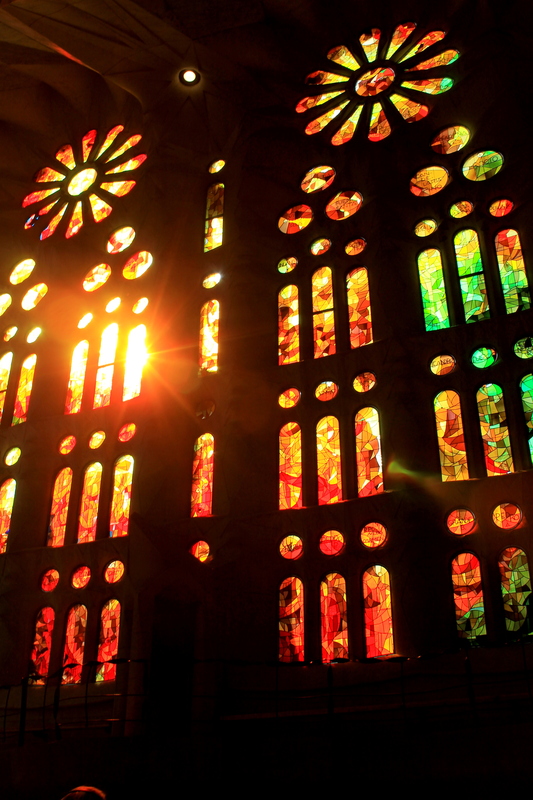 I’ve never been to Barcelona but it looks amazing…now I want to go! :) Beautiful pics, Rach! Wow! I loved reading all about your trip! And now I’m craving pan con tomat! Rachel, after going through this post, I want to get on a plane right now and fly to Barcelona. Wow! What an amazing place. The photos are gorgeous, the architecture amazing and don’t even get me started on the food. Yum! Glad you had such a wonderful time. Your trip looks amazing! I’m majorly jealous right now! Can’t wait to get to Spain one day. All of the food looks wonderful!! :-) Great photographs! I love creme Catalan but have never tried to make it but I should. I make crème brulee all the time! I’m so envious, Rachel — what a great experience! 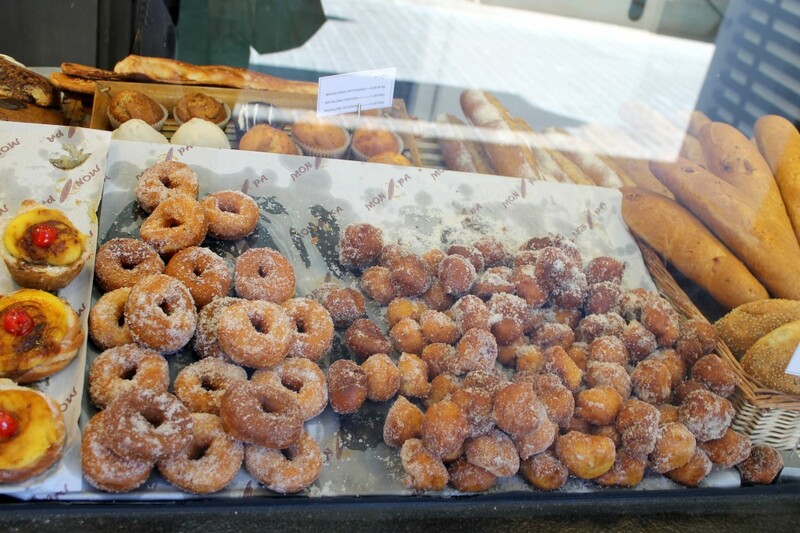 Spain is definitely on my list of places to visit, and the food and sights make me want to go even more! I AM SO JEALOUS!!!! Barcelona looks so beautiful and so much foood looks so yummy! ESPECIALLY WHATEVER THAT CHOCOLATE GOODNESS IS! What an amazing trip and city! 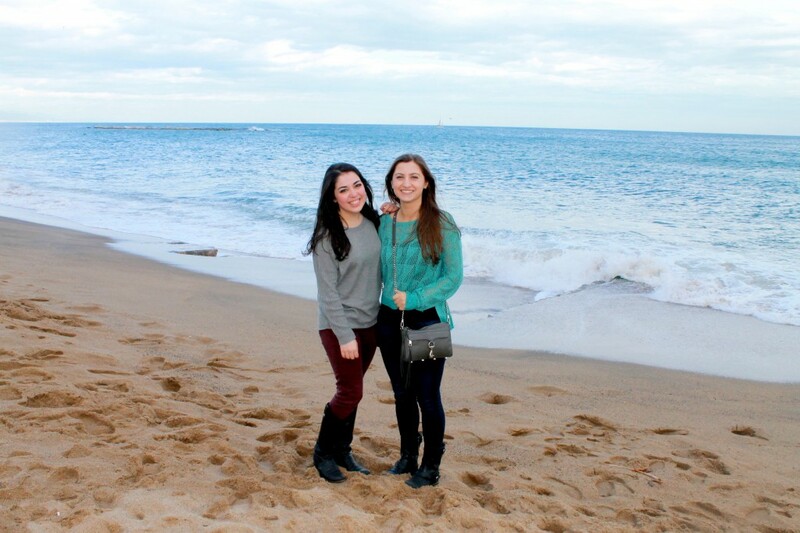 My sister studied abroad in Barcelona, and I’ve wanted to go ever since. Looks beautiful! I’d love to travel some day. Looks like you enjoy some delicious bites and gorgeous scenery. Bet it was a blast! Wow, your trip looks amazing Rachel! 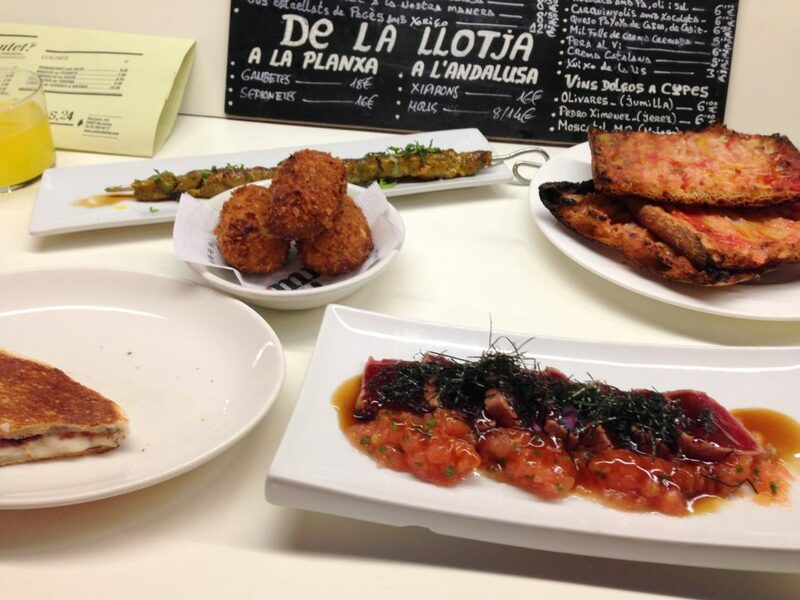 I would love to go to Spain one day – the food looks delicious! Thanks for sharing these gorgeous pics! Oh my gosh girl when I saw that dessert, the mousse/ganache creation I died. I swear I could taste it too! I am an AVID chocolate fan. Oh my, what a wonderful city! You are super lucky to have this opportunity, Rachel! I can’t wait to go there! Oh my gosh!! I love these insights and abroad bites. Barcelona is on my MUST go places but mostly because I need to be at Camp Nou one day to see FC Barcelona play…life priorities. Wow, the structures are really pretty. They are almost the same as the churches we had in my province -Bohol,Philippines. The churches , however, were damaged by an earthquake last year. Those were old/antique churches – since the Philippines was colonized by the Spaniards – around 400 years ago. On that earthquake, the ceilings that had paintings, window designs and antique epitaphs were all damage. What a waste. I love. Your travel post. I enjoy I reading it. BTW, another out of topic. I like how you do your make up. I notice it before, but I did not comment because it is so trivial, but on the pic , your eyebrows and your eyes were gently accentuated and it made your face lit up. Just to let you know. Hi Shobelyn, thank you for your comment! I’m glad you like the post, and I appreciate the comment about my makeup, haha! How sad about the churches in the Philippines, I bet they were stunning, and it’s always so sad to hear when gorgeous, historical buildings are destroyed (or anything is destroyed, for that matter!). Thanks for stopping by my blog and taking the time to comment! Hope you’re having a good day. I’m super jealous of all your fun. I’ve always wanted to go to Barcelona! I am seriously jealous of your adventure! These photos were SO fun to look at. Just beautiful! Everything about this post made me smile!!! Loved all of your pictures girl!! :) Glad you had a fabulous trip!! Look at all those foods!! 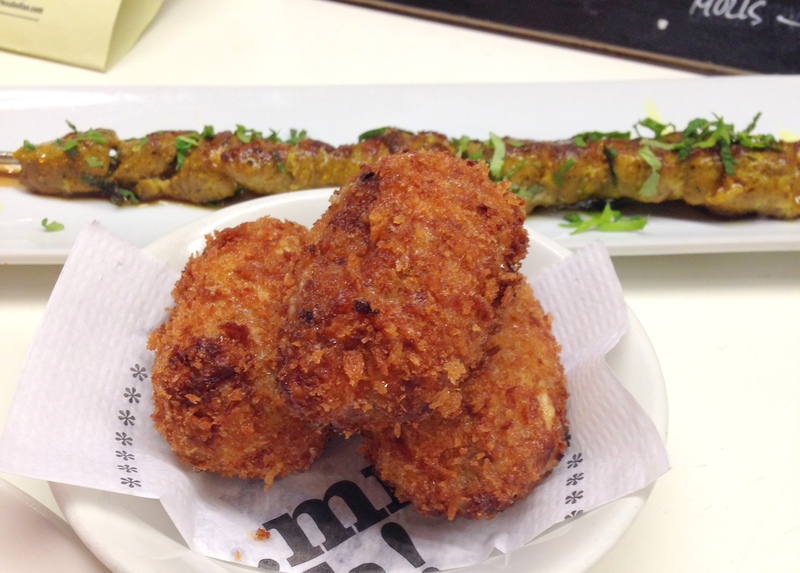 That sandwich, tapas and the chocolate desserts…my mouth is watering. 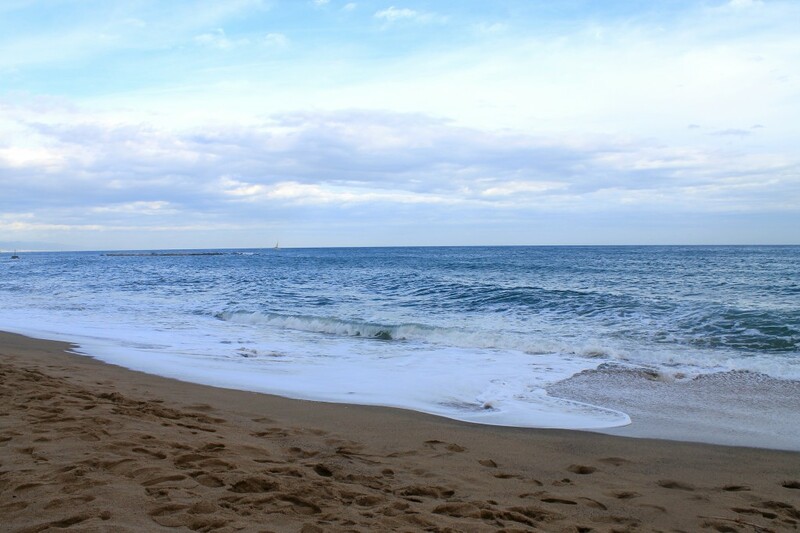 Gorgeous beach photos! Have a sweet and lovely Valentine’s Day! Gorgeous photo of spain! And the food looks amazing. And lucky, you are so pretty :)! 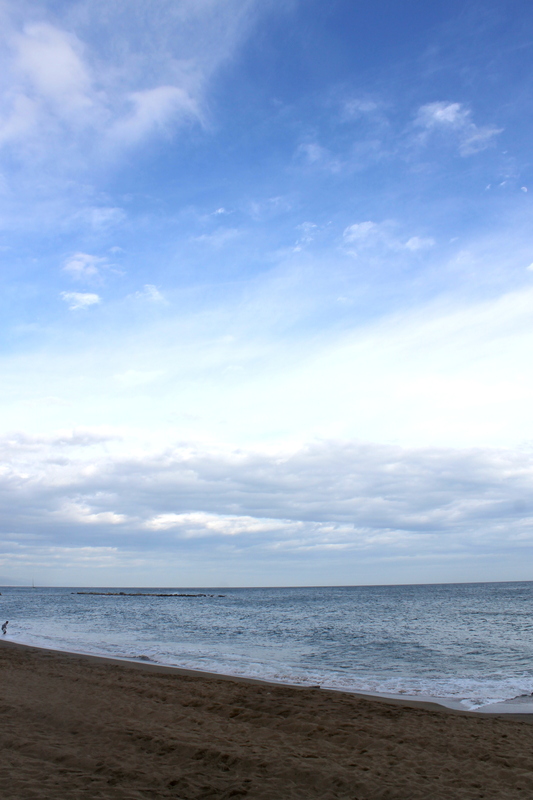 What gorgeous pictures of Barcelona! Thank you for sharing. My sister has been and now I wish I could go (as I look out at piles of snow about 4 feet high outside my house…). 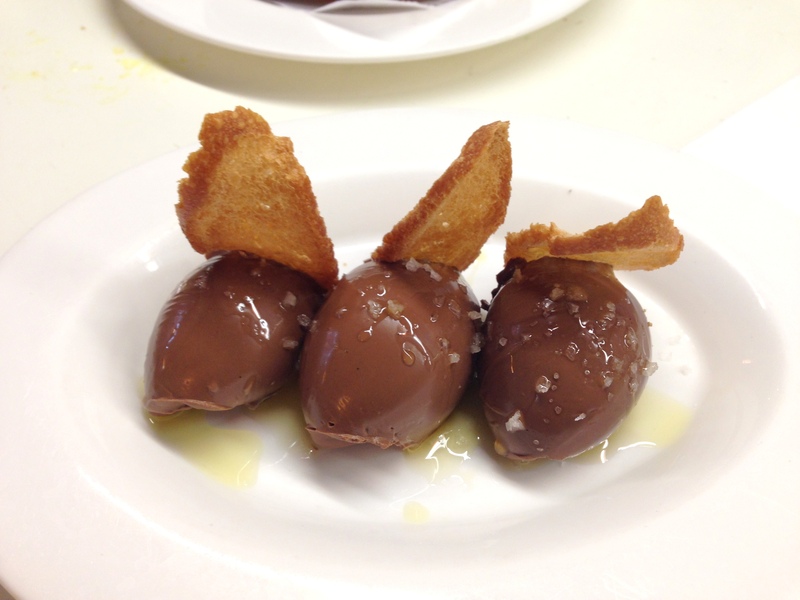 You’ve got me daydreaming of Iberian ham, perfect pasta, and the chocolate dessert of my dreams! It’s so awesome! Now it looks as if I need to put Barcelona on my list of travels! Looks like you had so much fun for her bday! Rachel!! I feel like I’m travelling through you. I LOVE Barcelona it’s such a beautiful place and I got to stay extra long when I went. I love travelling so please keep up these pictures until I go to travel so I can live through you haha. So glad you’re having an amazing time. Looks like you had a wonderful time here in Spain!! Your trip sounds fabulous ^^ Also, Pan con Tomate is one of my favorite things ever, I’m glad you liked it! 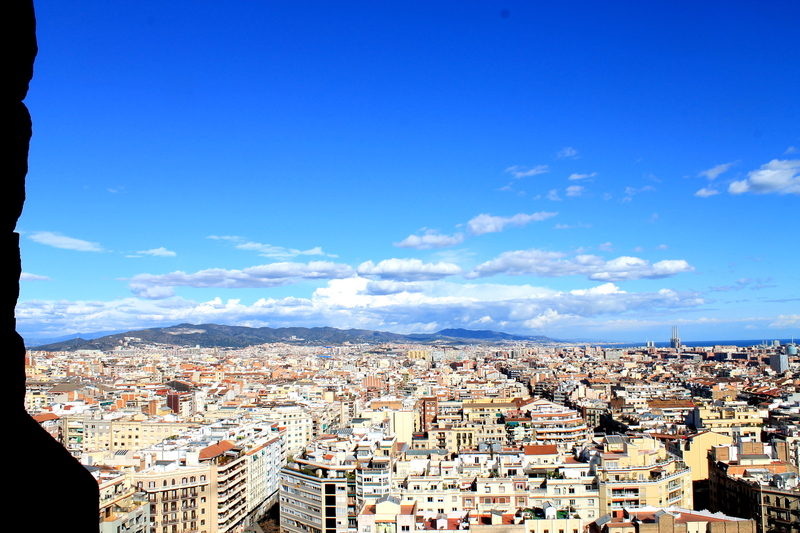 I miss Barcelona so much! This is so funny, I’ve just got back from Barcelona, our trips must have been days apart! I went there with my sister and had a brilliant time. 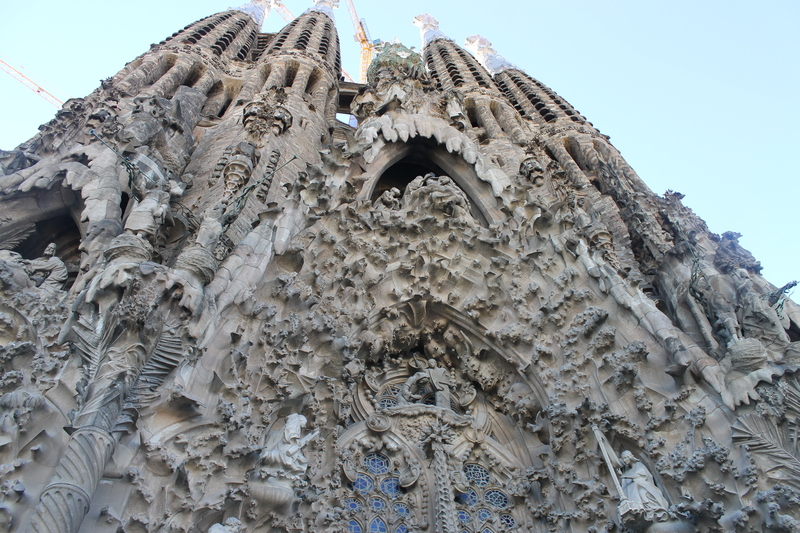 Wonderful food, loved Sagrada Familia and the friendliness of everyone. A great city! Went to a shop called ‘cup and cake’ from a twitter suggestion, I want to buy that shop! Oh man, I’m drooling over the food you’ve been eating!!! These look so delicious!! YUM! Btw I just found your blog!! So nice! YUM! Very nice pictures! 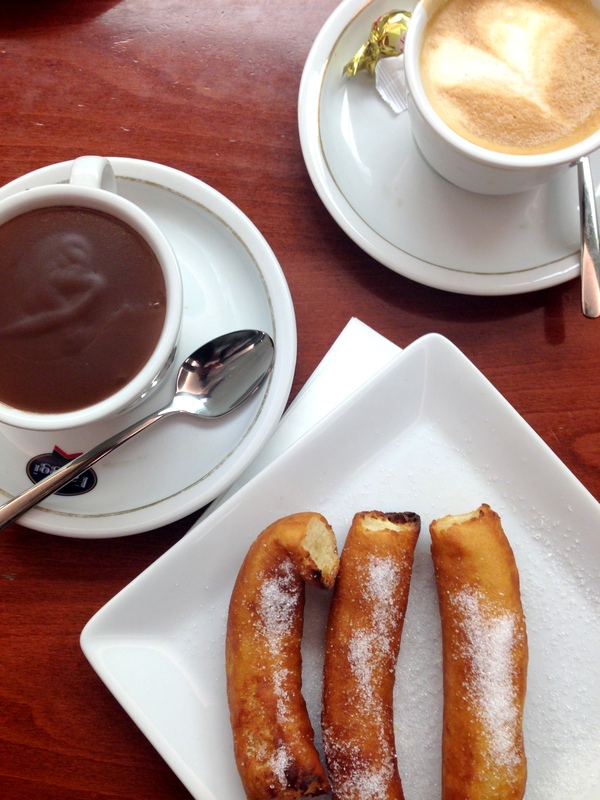 I loved food when I was living in Barcelona to Study Spanish. It was a great experience!